All of the solutions used by Honey Bunz Airbrush Tanning are luxury brand sunless products from California and Australia. Here is some more information on each product! I offer the shades No.6, No.9, No.12 and Dark Depth No.14, mixing any variation to make the perfect shade for you.They take 8-12 hours to develop. Being aloe based, they last from 7-12 days instead of the regular 5-7 days. 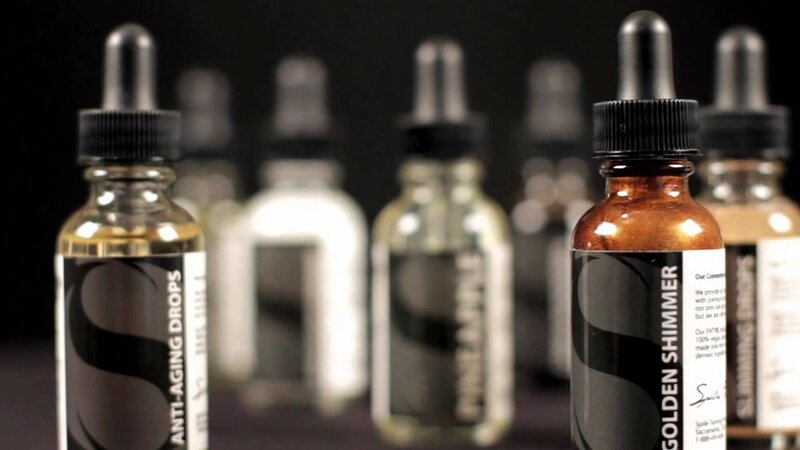 They are 100% vegan (cruelty free), paraben free, erythrulose free, and fragrance-free. Also by the brand Sjolie Organic Tan, I offer tan boosters with any tan. I have a scented booster, orange ginger. I have anti-aging and skin tightening boosters which bring the moisture back to your skin and help with fine lines and cellulite. Lastly, I have shimmer drops, bronze and opalescent. These two, however, can be added to your tan solution or applied after your tan has been developed and you have your initial shower. They're best for parties or a girls night out when your looking for that extra glow! Also a Sjolie Organic Tan product, the Ultra One solution is a rapid tan that develops in 2-4 hours for those busy days. This product lasts 5-7 days before noticeable fading. Sjolie Violet Solutions, come in No.9, No.12 and Rapid Tan. This violet based tan develops into a nice dark brown, compared to the more golden brown that the original line offers. This solution compliments warm skin tones and will last 5-7 days before noticeable fading. The Instant Airbrush Self Tanner is perfect for on-the-go clients that don't always have the time to come in for a tan, also great for going on trips! Bring this along in your bag and use it for touch ups or full body and face application. This product has a 8% DHA level which works great with any skin tone. Skip the self tanning mouse and try out this convenient option! A self tanner hybrid. This product is not only a hydrating lotion with a 6% DHA level for gradual color, but also has skin healing properties such as caffeine extract that helps with reducing cellulite! Use this as your daily moisturizer with great skin benefits or pair it with your Organic Spray Tan and use it as your moisturizer for the 7-12 days you have your tan! Sjolie Tan Extender lotion has been proven to extend the life of your Airbrush Tan by about 2-3 days longer then when using a regular moisturizer! This lotion has a hint of DHA in it which adds life and vibrancy to your tan. Use this as your daily moisturizer while tanned to get the most out of your tan. This all natural scrub is perfect for pre-tan exfoliating. Made with only 4 ingredients this scrub is made for clearing pores of any dirt or oil build up. This can be used on the face and body. 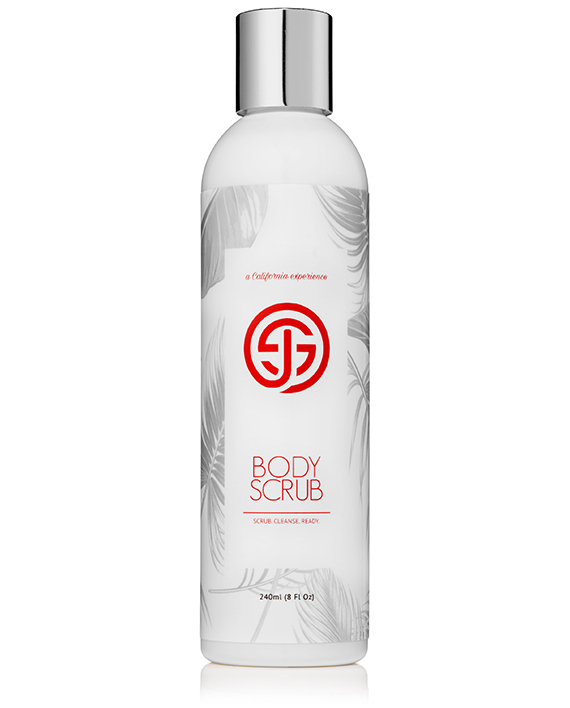 This non-abrasive Body Scrub works great for exfoliating and cleansing the skin! Used on a loofa makes for an awesome pre-tan exfoliate. A silky formula will exfoliating beads makes for the smoothest skin! This moisturizing Body Wash is formulated specifically for using daily while your tan is on. Keeping the moisture of your skin locked in will help your tan to last it's longest and look it's best! *NEW* The deepest darkest tan I offer, Ultra Dark! A client favourite, this solution can be used on any skin type or tone to produce that dark chocolate brown tan. This can be used as a rapid tan (develop for 2-6 hours) or it can be left on over night (8-12 hours) for the darkest results!